January blew right by didn’t it? February is here and the Super Bowl is this weekend! I am looking forward to relaxing and watching the game. I’m also hoping to see the Patriots get beat down! Am I an angry Steelers fan? No, I am a Giants fan, that has seen them beat the Patriots in the Super Bowl….twice. Anyway, it is time for the Staff Picks of the Week! You know how we do, each week I share with you what has been keeping our outstanding staff entertained. 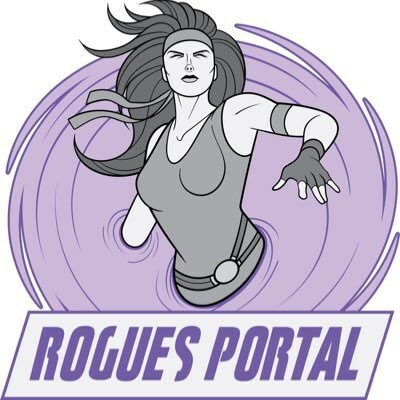 First, let’s take a look what has been going on at Rogues Portal this week. We have reviews for Vampirella #0, Heavenly Blues #1, Shade the Changing Girl #5, and The Unstoppable Wasp #2 just to name a few. Check out our Webcomic Spotlight that includes Drugs and Wires, Undecayed and our own Sunny and Owl Girl. This week in TV and movies, we have reviews for Riverdale, Channel Zero: Candle Cove, Beware the Slenderman, Iboy, and Keeping Up With the Joneses. Don’t forget to catch new episodes of our podcasts, Comicsbound, Scooby Dos or Scooby Don’ts, and The Comics Agenda. And now ladies and gentlemen, it is time for the Staff Picks of the Week! 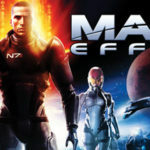 Amelia’s Staff Pick of the Week – My staff pick of the week is Mass Effect. Everyone is getting hyped for the next entry in the Mass Effect series but let’s all take a moment to remember the game that started it all. The Milky Way galaxy to explore, new species to meet (and maybe even bone! ), and the epic narrative of life or death stakes at an intergalactic level! 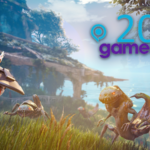 With a huge number of side missions to do in any order you want, a crew you can switch in and out when the mood strikes you, and both male or female options for Commander Sheppard, Mass Effect earned its legacy in spades from the very first game. So go re-play it! Choose some options you never have before, curse your luck when you stumble upon a Thresher Maw, and save the goddamn galaxy! Or shoot space monkeys. Whatever, it’s your choice. 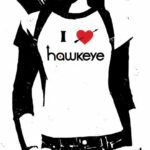 Greg’s Staff Pick of the Week – A few months ago Kelly Thompson started writing the latest version of Hawkeye starring Kate Bishop. I’m going to be honest, before this book I had little to no knowledge about the character. I more than likely would not have even picked it up except for the fact that over on The Comics Agenda Podcast we decided to review the first issue. I have to say I am glad that we did, because right now this is one of my favorite books that I am reading. As Kate finds her way around California and tries to strike out on her own, we get a chance to see her strengths and her failures. We get to see her doubt herself personally while also being confident in the field. The art just adds to the entire story, one of the things I love is when Kate walks into a room she starts staking it out and, through the use of some clever art, we see what she focuses on along with her thoughts on them. It’s quick, it’s witty, and it’s fun. If you are not already reading this book do yourself a favor and pick it up today. Michael’s Staff Pick of the Week – My pick this week is the new CW series Riverdale. 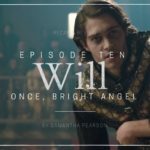 The show airs on Thursdays and is available in Canada on Netflix the day after. The series is a take on Archie Comics and is even produced by Roberto Aguirre-Sacaso, the writer of Afterlife with Archie. The show contemporizes the main cast to a degree while still keeping an out-of-the-era ’50s aesthetic to Riverdale itself. All the trappings of a CW series are here, for better or worse. It’s a mix of Dawson’s Creek, Pretty Little Liars, and Twin Peaks. The cast is surprisingly solid, with Lili Reinhart’s Betty, Camila Mendes’ Veronica, and Cole Sprouse’s Jughead being particular standouts. 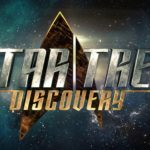 The premiere was well-shot, well-directed and left me hooked for more. David’s Pick of the Week – My pick of the week is the Oscar nominated film La La Land. Oscar season is upon us and I am going down my list catching up on all the Best Picture nominees. La La Land surprised me, I liked it much more than I expected. Emma Stone plays as Mia, an aspiring actress that works at a coffee shop. Sounds cliche, I know, but trust me it works. She meets Ryan Gosling, who plays as Sebastian, a jazz pianist. As the pair pursue their dreams, they fall in love, and have to make decisions that weigh heavily on their relationship. Part musical, La La Land is delightful and I highly recommend anyone who loves movies in general to see this. It is kinda a love letter to Hollywood, but it is a lot of fun to see throwbacks to various classic films. Check it out! 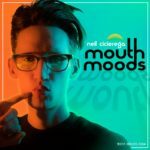 Billy’s Staff Pick of the Week – My pick this week is Neil Cicierega’s Mouth Moods. This album is light. It’s fun. It’s a musical joke. Never have I laughed harder in the past few weeks than listening to this album. Get through a painfully meme-filled first track and you’re rewarded with a mash up of Hot Butter’s Popcorn and Drowning Pool’s Bodies. Enjoy an existential take on Eminem or an ’80s dance version of Wonderwall. Cicierega takes liberties with songs, editing them far more than other mash up artists might, but the risk pays off. Where else are you going to get tracks that use the Home Improvement theme song or Walkin’ the Dinosaur as a base? The best quote I read about this album was that it was “a reward for media literacy”. That’s exactly right. Neil Cicierega is almost a founding father of internet humour, and this is a celebration of our entire nerd culture. Mouth Moods comes at the perfect time for me. I needed this lightness. Even if I do have Smash Mouth stuck in my head again for the first time since 2002.